I did something crazy. 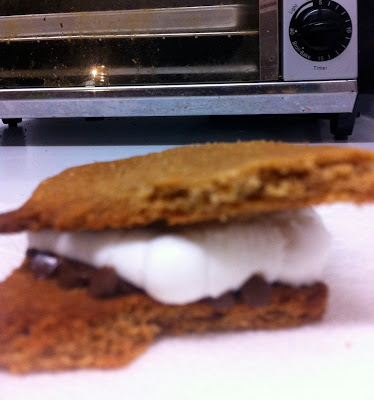 I had an insatiable craving for s'mores. So I made them in my toaster oven. But first I made graham crackers. I know, crazy. But SO worth it. As I was making them I actually muttered to myself , 'there's no way this is worth it.' But I promise it is. I found them on Martha and the recipe is close to perfect, but I made it a little healthier by replacing 1 cup of the white flour with garbanzo bean flour. Here's the recipe! Have some marshmallows on hand so you can make s'mores immediately.